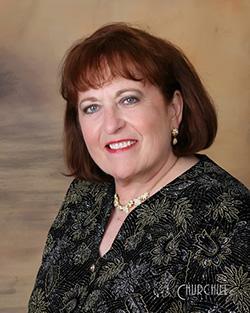 Dr. Phyllis Robertson has conducted the Quincy Symphony Chorus since 1989. Dr. Robertson obtained degrees from the University of Nebraska and Arizona State University prior to her receiving the Doctor of Musical Arts Degree from the University of Iowa in 1982. She has been a member of the music faculties of the University of Iowa, Arizona State University, Central Missouri State University, Eastern Illinois University, Blackburn University, Culver-Stockton College, and Quincy University. Dr. Robertson is currently an adjunct voice professor at Truman State University, directs the choristers at Salem Church, and has a private voice studio in Quincy. As a vocalist, Dr. Robertson has presented a number of faculty recitals, and has performed many Sunday Music Series recitals. She sang numerous solos while a member of the Quincy Symphony Chorus, and was the featured mezzo-soprano soloist for the Quincy Symphony Orchestra performances of Handel’s Messiah in 1990, 1997, and 2002. She has also performed roles with the Muddy River Opera Company. Dr. Robertson directed and organized the All Faiths Concert for four years, which involved numerous church choirs in and around Quincy and is program chair for the Sunday Music Series. In addition to her musical responsibilities, Phyllis has been an officer on the Timberline Association Board, past president of the Quincy Ladies Golf Association and the Westview Ladies Golf Association. She is a realtor for Mungo & Associates, Inc.